Alpha lipoic acid (ALA) is a powerful antioxidant that has been shown to improve blood sugar metabolism and may even lower symptoms of neuropathy and glaucoma. 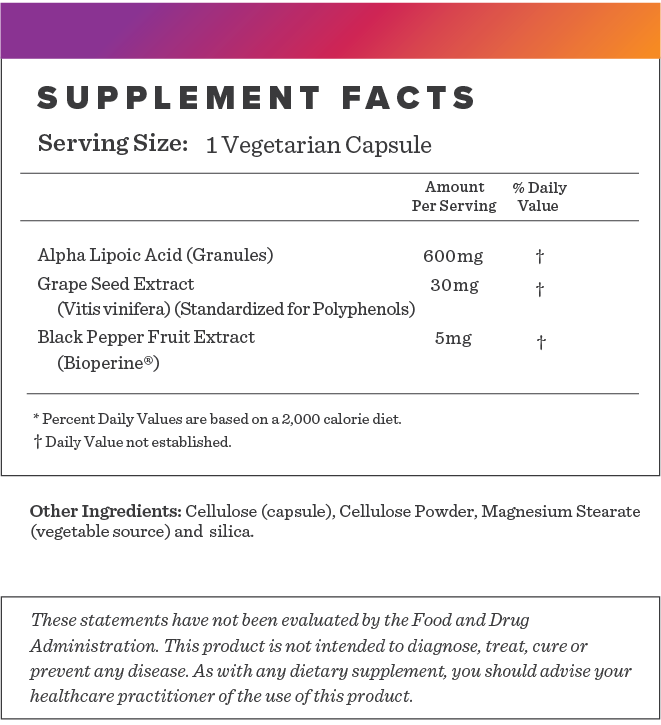 Alpha Lipoic acid has gained attention in the recent years. It is a powerful antioxidant that has neuroprotective properties. It may help the body maintain a healthy weight, reduce eye diseases like glaucoma, and aid in blood sugar control. In addition to neuroprotective benefits, ALA has been shown to help obesity, diabetes, and overall inflammation. 1.Kola B. Role of AMP-activated protein kinase in the control of appetite. J Neuroendocrinol. 2008;20(7):942-51. 2. Streeper RS, Henriksen EJ, Jacob S, Hokama JY, Fogt DL, Tritschler HJ. Differential effects of lipoic acid stereoisomers on glucose metabolism in insulin-resistant skeletal muscle. Am J Physiol. 1997;273(1 Pt 1):E185-91. 3. Skibska B, Goraca A. The protective effect of lipoic acid on selected cardiovascular diseases caused by age-related oxidative stress. Oxid Med Cell Longev. 2015;2015:313021. 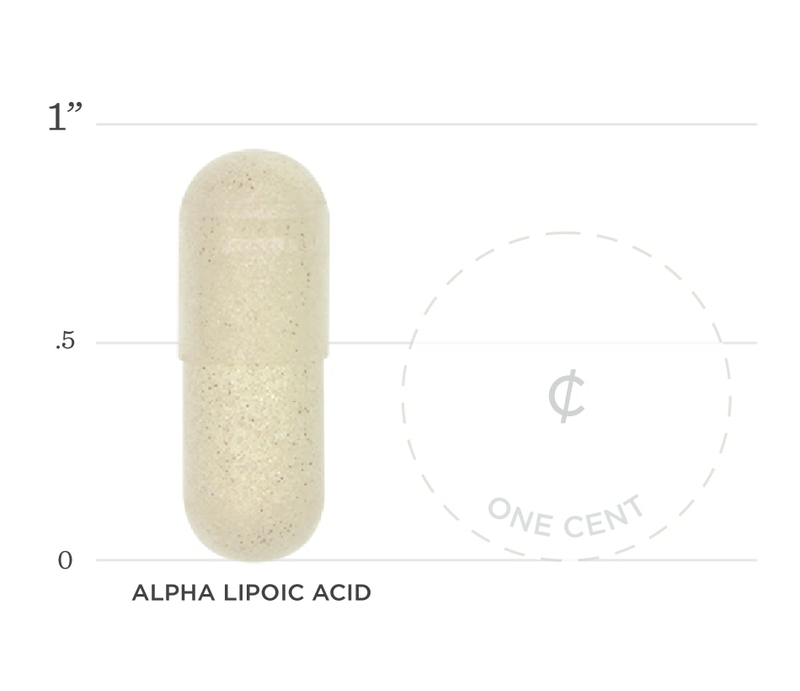 Below we've broken down the main functions of our Alpha Lipoic Acid and the benefits it can provide. Research has linked this supplement to weight loss because it may lower the enzyme AMP-activated protein kinase (AMPK), which is responsible for increasing the amount of calories burned at rest (1). One study showed it can reduce blood sugar levels in diabetics by up to 64% (2). As a natural antioxidant, it is believed to have a positive effect on oxidative stress in cardiovascular conditions (3).